We have two fantastic packages to share if you are looking to tie the knot in either Spring or Winter time. 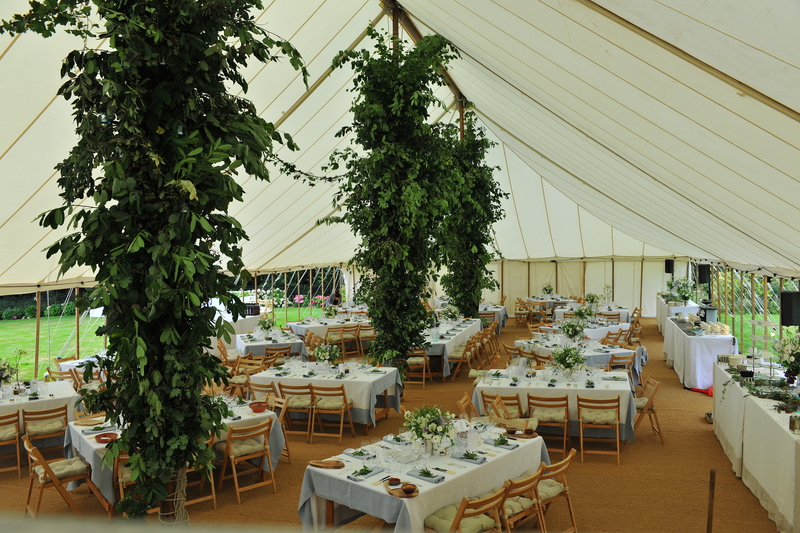 Our “Spring under Canvas” package applies to weddings taking place in either April, May and early June. 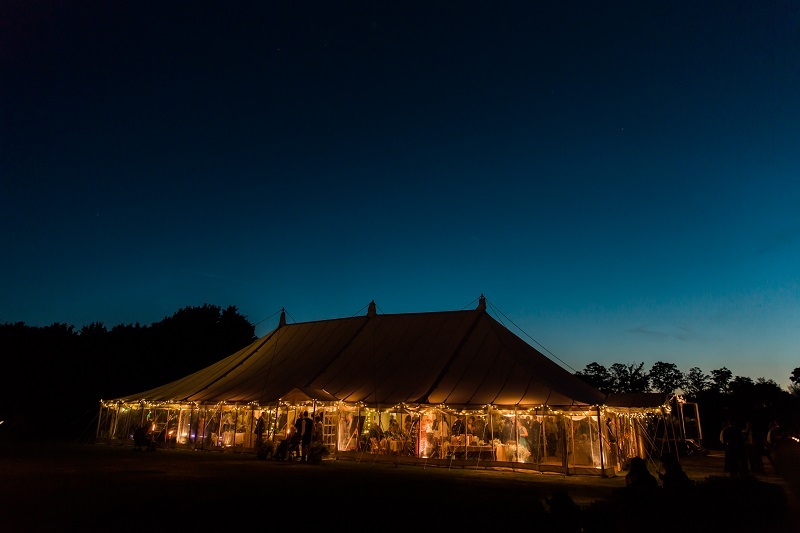 The quintessential British wedding in a stunning traditional marquee. It is gloriously romantic and now is fantastic value for money too. 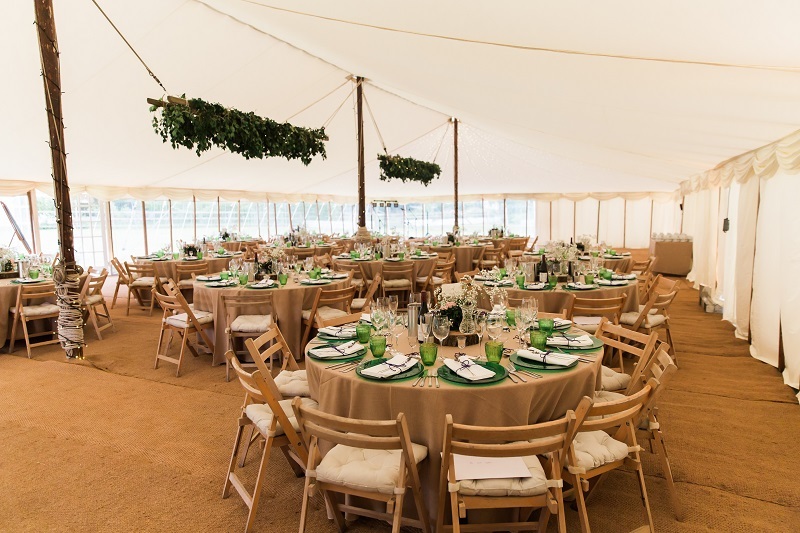 Spring Under Canvas Wedding package prices from £3,500 for 130 guests and includes a 80′ x 40′ cream canvas traditional pole marquee with wooden poles, your choice of ivory flat or pleated lining, coconut matting, window walls, 12 uplighters and 2 chandeliers, entrance porch, round dining tables, long top table, bar, cake table, present table, board and easel, dining chairs, dancefloor, catering marquee with flooring and lighting. Table linen not included. Power source to be provided by the client or a generator can be added an additional cost. Heaters are not included but can be added at extra cost. 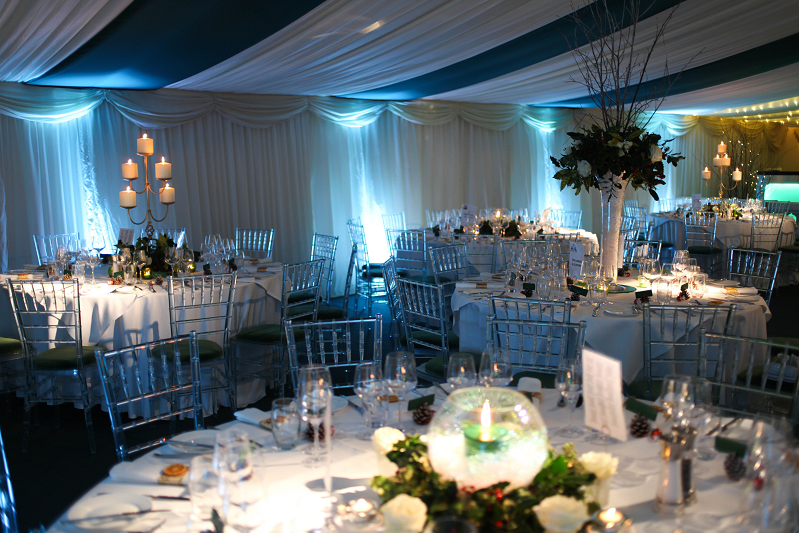 Our “Winter Weddings” package applies to weddings taking place in the months of October through to March. 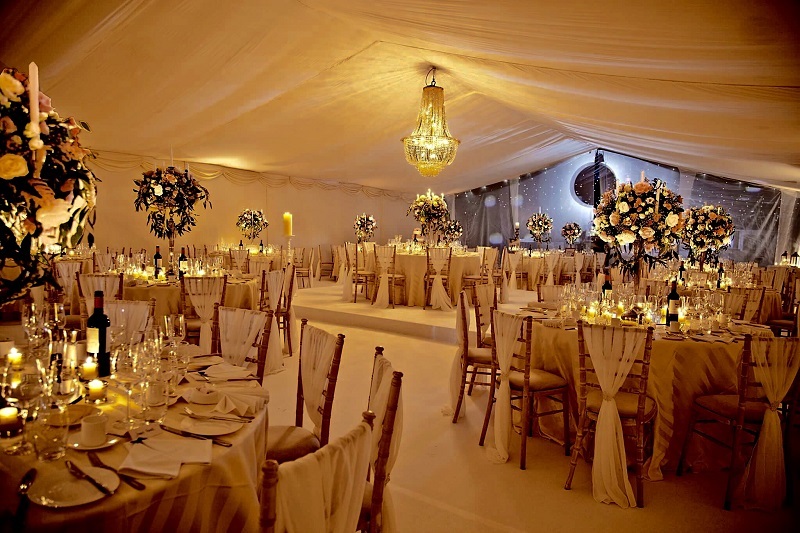 Why not have yourself a magical fairy tale wedding, surrounded by rich, sumptuous colours and candlelight? 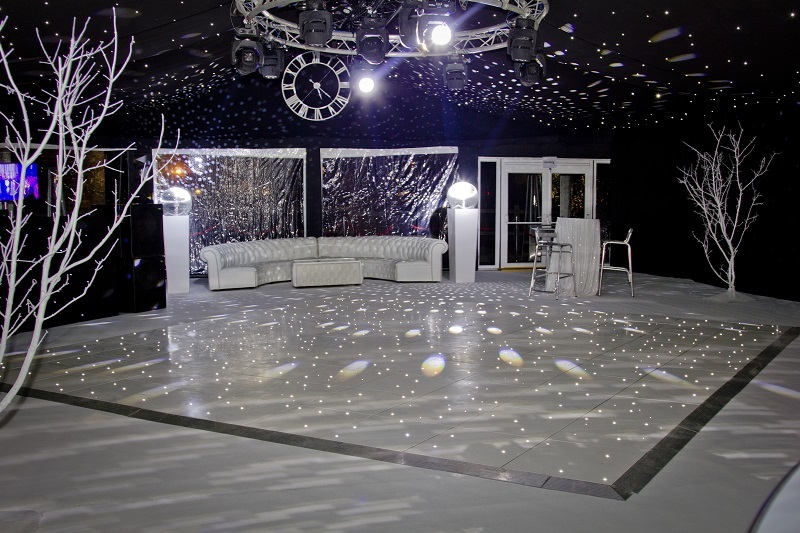 Winter wedding prices from £3,000 for 100 guests and includes a 21m x 12m white clearspan marquee, your choice of pleated or flat ivory lining, brand new carpet, hard floor, window walls, 12 uplighters and 2 chandeliers, entrance porch and doors, round dining tables, long top table, bar, cake table, present table, board and easel, dining chairs, dancefloor, catering marquee with flooring, lighting and trestle tables. Table linen is not included. Power source to be provided by the client or a generator can be added at extra cost. Get in touch to find out how you can benefit from these amazing packages and our team will work to make your dream wedding come to life.